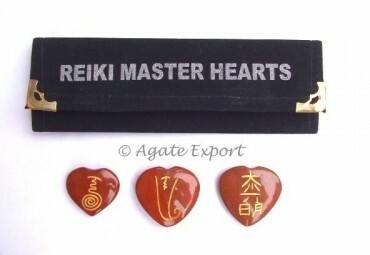 Made from red jasper stone, Red Jasper Reiki Master Hearts Set has 3 stones with symbols. Reiki is for everyone who needs help. Agate Export offers this set at pocket friendly price.